Far back in the 1800s, people carried their fresh brewed beer in tin pails or glass jugs, known as growlers, from the brewery to the pub. The nickname ‘growler’ came from the sloshing sound the beer made as the pails were carried down the street. The jerky movements of the pails caused carbon dioxide to escape from the liquid, causing a growing noise. 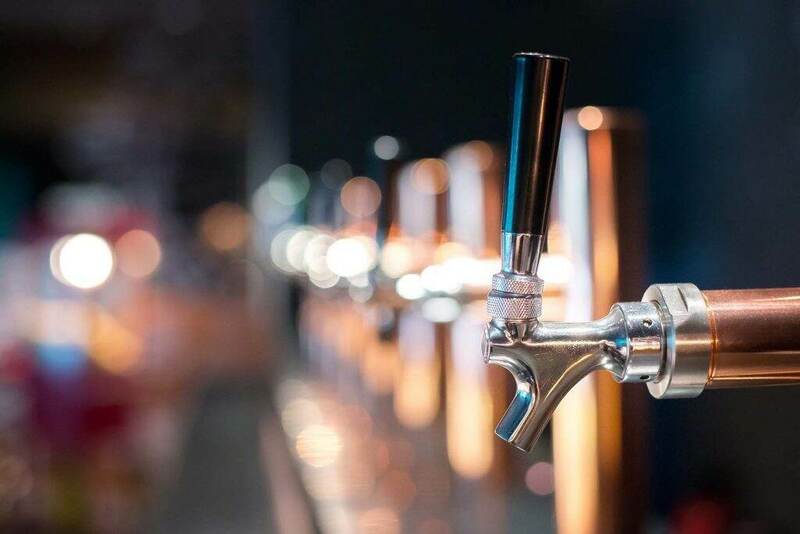 Another theory is more human – the growling noise is said by many to actually come from the impatient customer who is looking for a full pail of brew, while the bartender only pours a pint. 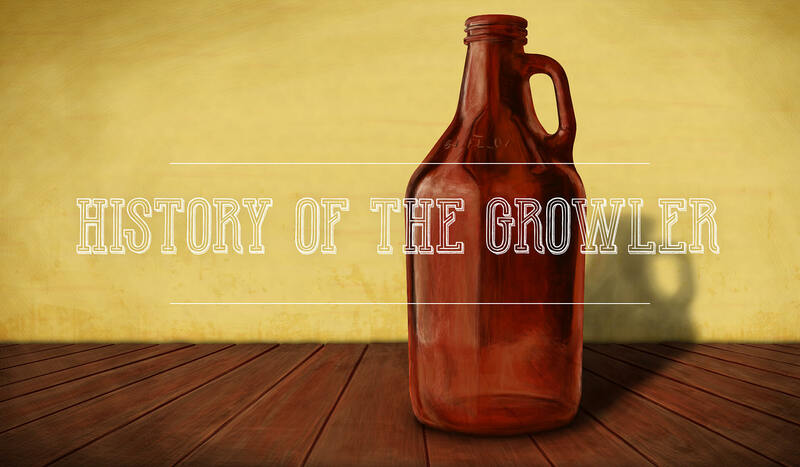 Either way, growlers have long been a part of beer history. A growler is a container that breweries use to supply their customers with fresh beer. The brewery refills the growler on demand, which customers take home to drink. 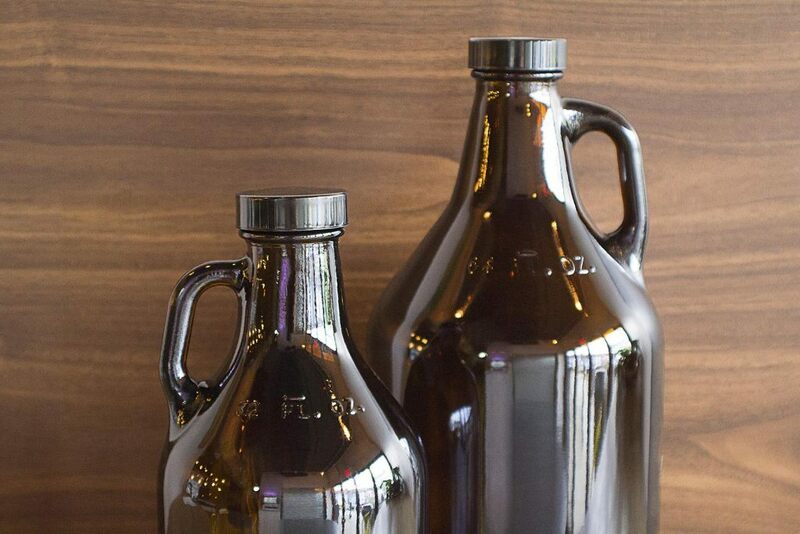 Growlers are typically 64 ounces but can range in size, depending on whether a customer prefers a smaller or larger container to transport their brew. Beer in modern, unopened growlers can stay fresh and tasty between 7 and 10 days. Once the growler is opened, beer may begin to lose its integrity after 2-3 days. Growlers can be easily cleaned using hot tap water and reused forever, provided they remain in good condition. For old growlers that need a good cleaning, dishwashing liquid is safe, but all soap residue must be thoroughly removed or it can influence the taste of the beer. In the 1920s, prohibition nearly outlawed the growler completely. However, in 1933 the repeal of prohibition saw folks still relying on the growler to transport their beer. Kids were known to bring the covered buckets of brew from local brewery or pub to men at work or home to their expectant parents. This childhood activity was often referred to as ‘rushing the growler’. It wasn’t until the 1950s that wax-coated cardboard containers with lids were used in place of the pails to carry beer home. People were keen to bring home as much beer as they could carry since it was illegal in most states to buy or sell liquor on a Sunday. In the late 60s, cardboard was replaced by plastic, and customers were finally allowed to purchase prepackaged beer after hours for home use. This eventually led to the demise of the growler. Fast-forward to the late 1980s, Charlie Otto and his father, owners of the first draft-only microbrewery in Wyoming, were determined to offer to-go beer for their customers. They didn’t yet have a way to bottle the brew they were making. It was Charlie’s father who suggested they go back to the olden days and start using growlers again. Charlie agreed and took the opportunity a step further. He bought a silkscreen machine and began imprinting his logo on each of the half-gallon bottles. This was another turning point for the modern-day growler. New technology in the crafting of beer has made it possible for beer makers to package beer in glass growlers without the fear of oxidation, resulting in flat, stale-tasting beer. Growlers manufactured today, like those at BottleStore.com, are the highest quality and designed to keep your beer as fresh as when first created. New laws in many states have made it possible for brewers, bars, and retail outlets to refill growlers with fresh beer, without having to go directly to the brewery. If your microbrewery or craft beer business is in need of durable, food-safe growlers, contact the packaging experts at BottleStore.com to learn more. Beer 101: What’s In an Ale? What Type of Beer Bottle Should I Use for My Home Brew?